Hey everyone. 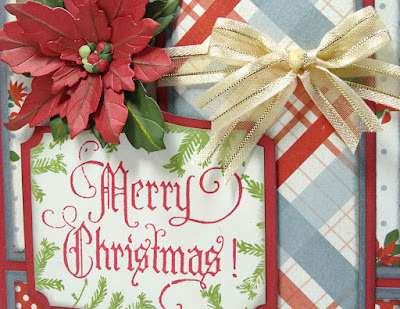 A quick share today of one of my first Christmas card designs this year. I'm determined to start early and be ahead of the game this time around. In the past, I've waited until the last minute and cranked out a bunch of the same, identical card. Honestly, that might be efficient, but it's a bit boring from a creativity standpoint. This year, I'm going to make cards one by one, just as my heart desires for the design, and hopefully everyone on my card list will get a completely different card from me. That's the plan anyways. My card today features the beautiful Poinsettia die from Susan's Garden Notes collection (Elizabeth Craft Designs), Carta Bella's pretty Christmas Wonderland papers, and a few stamps from Tim Holtz/ Stampers Anonymous. My card is 5" x 7" and includes cardstock from Close To My Heart (Ruby and Gray Wool). Gray Wool is retired, but Slate would be a close second if you were recreating this card. 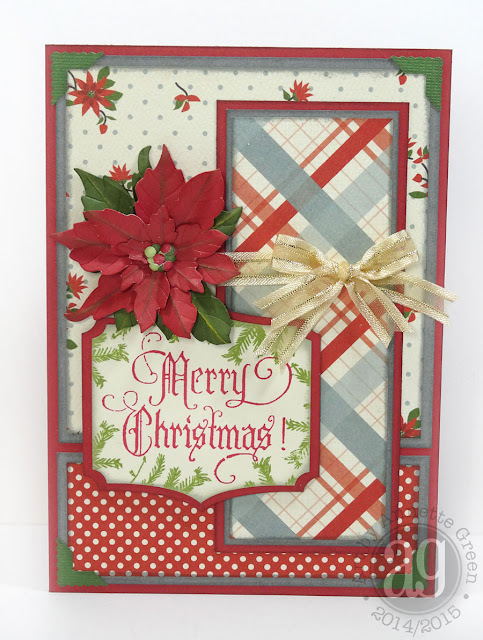 The Merry Christmas stamp is from the Stampers Anonymous "Old Fashioned Christmas" set and the pine boughs are from the "Mini Blueprints 7" set. 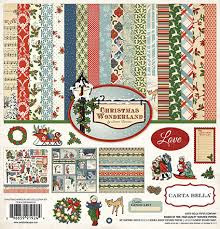 Carta Bella's Christmas Wonderland collection. I won this in one of their challenges! And here's that fabulous die put into action. I absolutely LOVE this die, and I love how Susan has designed a whole new collection of dies that lie more flat when assembled. 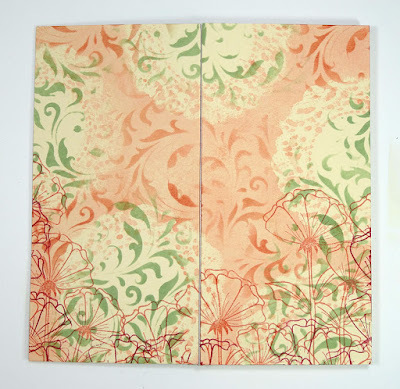 That line is called Garden Notes and each one is just as pretty as the next. Rather than create my own video (why reinvent the wheel?) 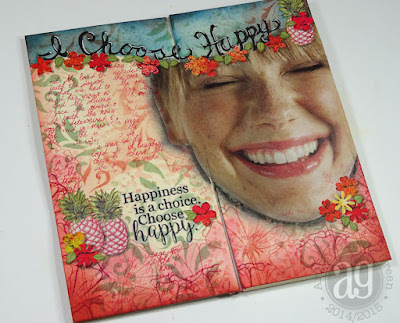 I'm sharing Susan's video for this die assembly below. 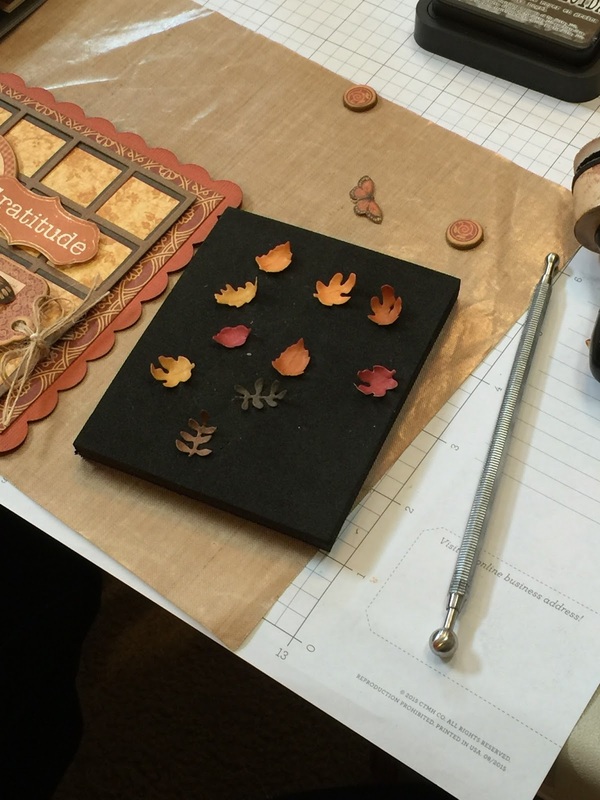 By the way, Susan has a YouTube video tutorial for every single die she designs. I LOVE that! A simple inside for now. I might add more later. That's it for me today. I think I'll set a goal for myself to make 25 different cards, starting next week and by December 14th, I'll be ready to mail them out. How about you? 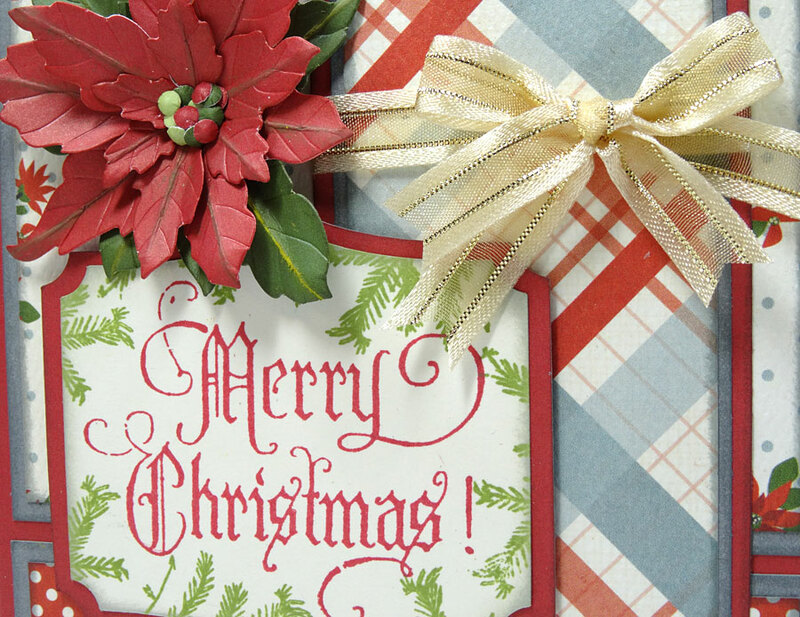 Do you make your own Christmas cards? And if so, do you make them all the same or change them up? I'd love to hear. Meanwhile, have a great day! 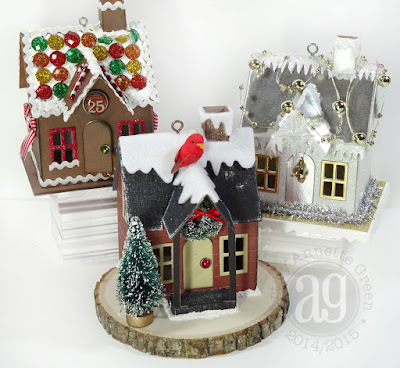 Oh my goodness, crafters, don't say I didn't warn you: Tim Holtz's new Village Dwelling die and the compatible Village Winter die make creating tiny houses totally addictive! There, you've been warned. 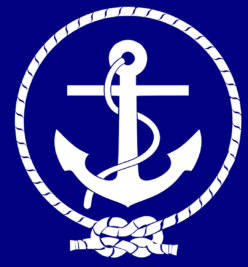 Now if you're of an addictive nature, I say close out this blog and move on to something else. I've decided to teach my Friday Follies club members the three different houses this month. By creating three completely different styles, this exposes my group to different techniques and products which is what my monthly classes are all about. 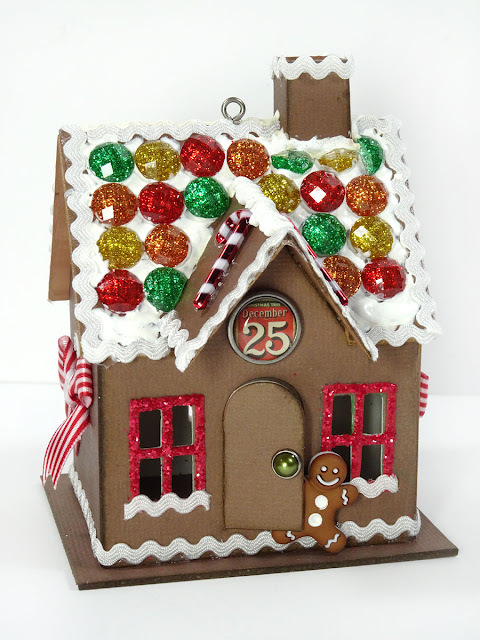 This house includes textured brown cardstock, colored gems, Snow Writer paint, Festive Berries Distress Glitter, Yuletide Fasteners, ric-rac and striped ribbon, a resin gingerbread boy, and two tiny candy canes. 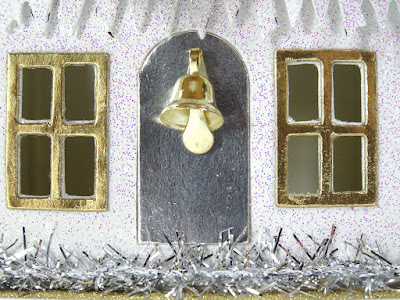 This one features Metallic Kraft-Core cardstock, tinsel twine, glitter cardstock, and some gold pearl garland and a sweet little bell on the front door. A frosty snowflake adorns the top of the door's awning. 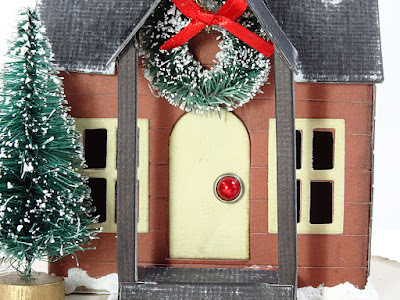 I couldn't resist making this one on top of a round log base which I found at Hobby Lobby. 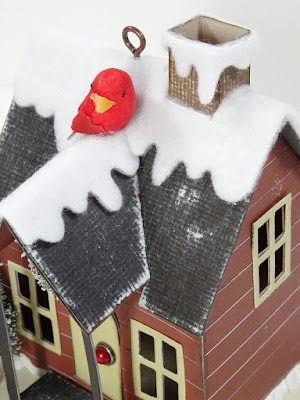 The clapboard siding, the deep red and slate gray roof all remind me of New England home styles. Sheets of white fleece cut easily with the Village Winter die for the snow on top. Tiny wreath and trees are from Hobby Lobby. 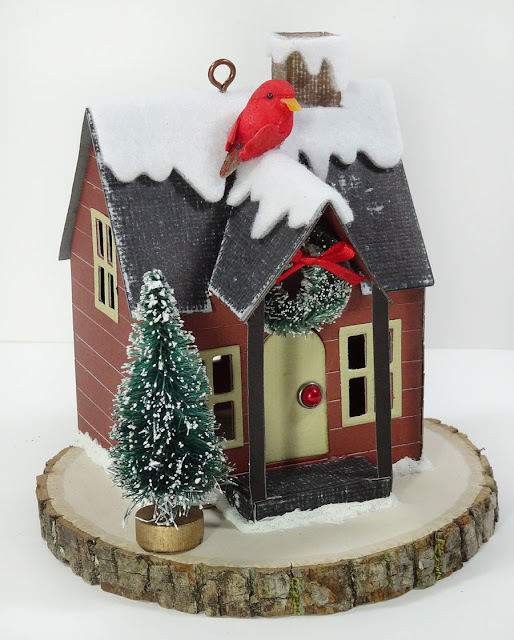 This little cardinal is also from Hobby Lobby. You can find all kinds of tiny treasures there! I loved shopping for all these goodies! Here's another look at all three. I can hardly wait for class this Friday so the ladies can enjoy making these. I'm planning to post a few short broadcasts from class on my Periscope this Friday, so if you'd like to see the class in action, make sure to follow me @AnnetteGreen. Periscope is a free app which allows you to see LIVE video of whoever you follow. You'll receive an audio cue when I go live, then all you do is jump on your phone or tablet and watch. You can even leave comments or ask questions. It's great fun! You can find all the great Tim Holtz products I used most craft stores and at SimonSaysStamp.com plus all the other goodies in your local Hobby Lobby store. 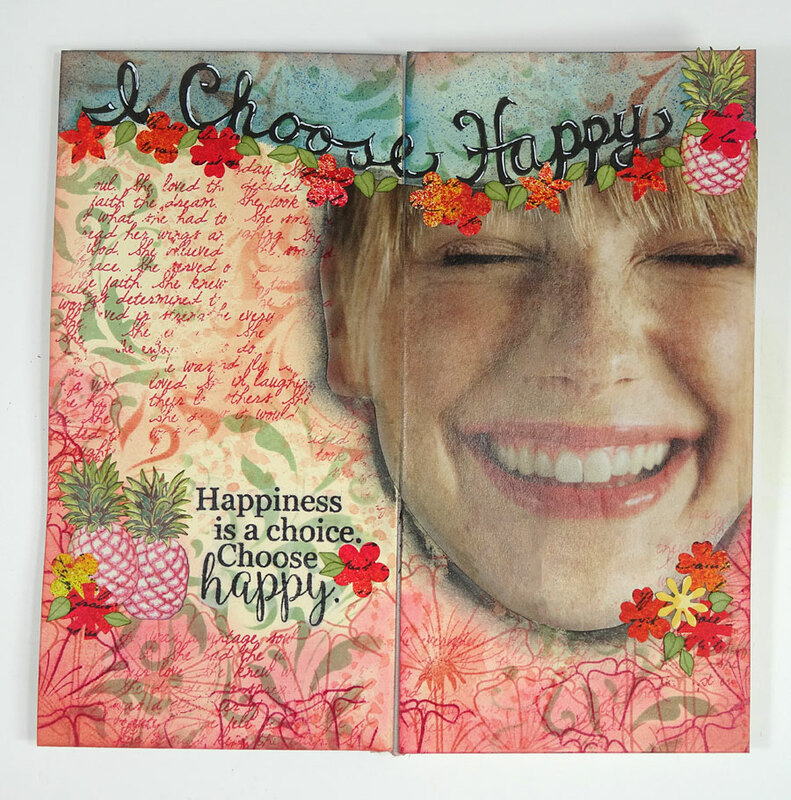 The Journal Buddy Blog Hop! A Journal Buddy and Yvonne's 4" x 8" Inky Art Journal! 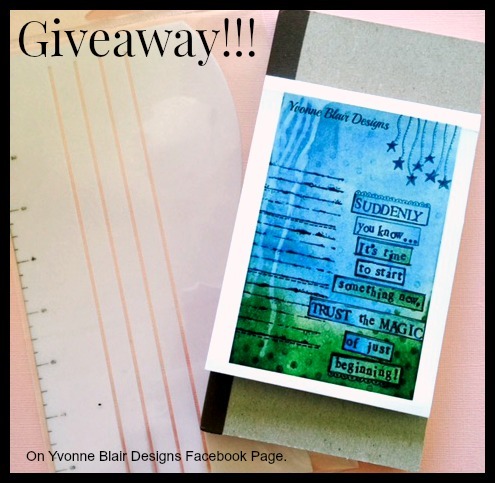 My creation uses the Journal Buddy along with the new and super cute 4" x 8" sized Inky Art Journal. 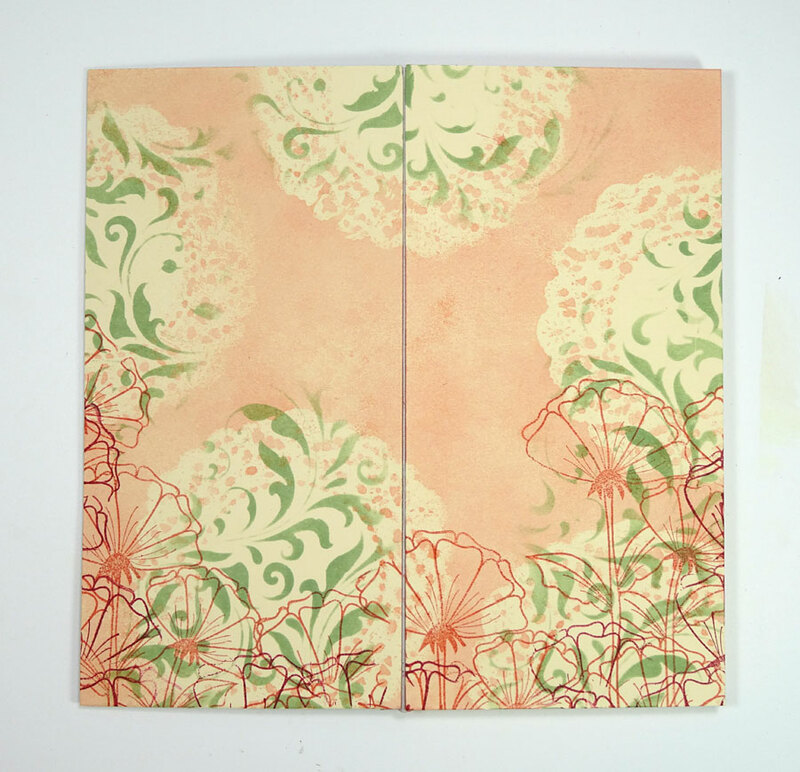 I have to say NOT ALL ART JOURNALS ARE THE SAME. 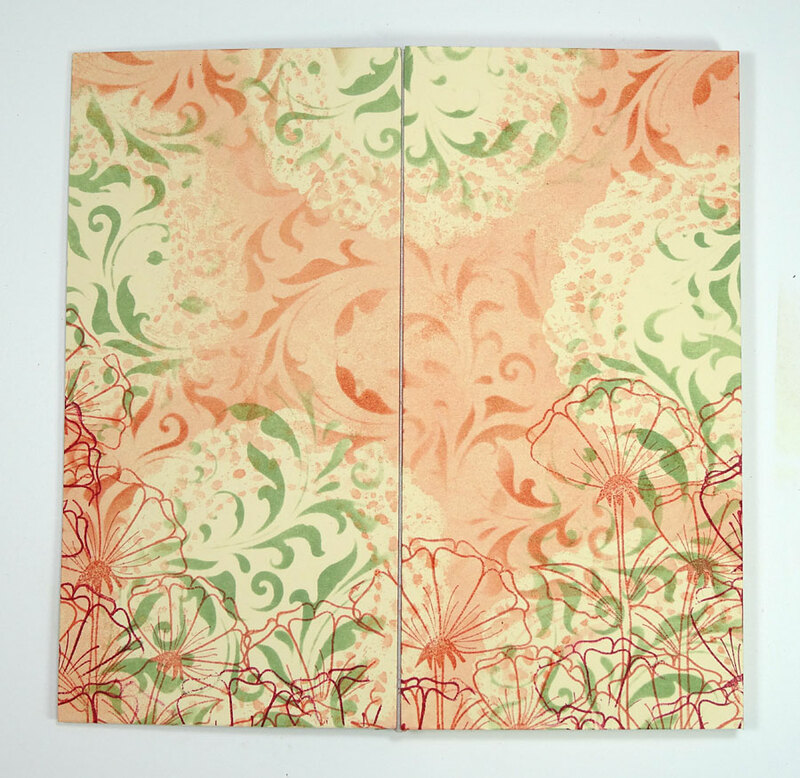 If you're an art journaler, you know the hassle of pages that don't stay open flat. 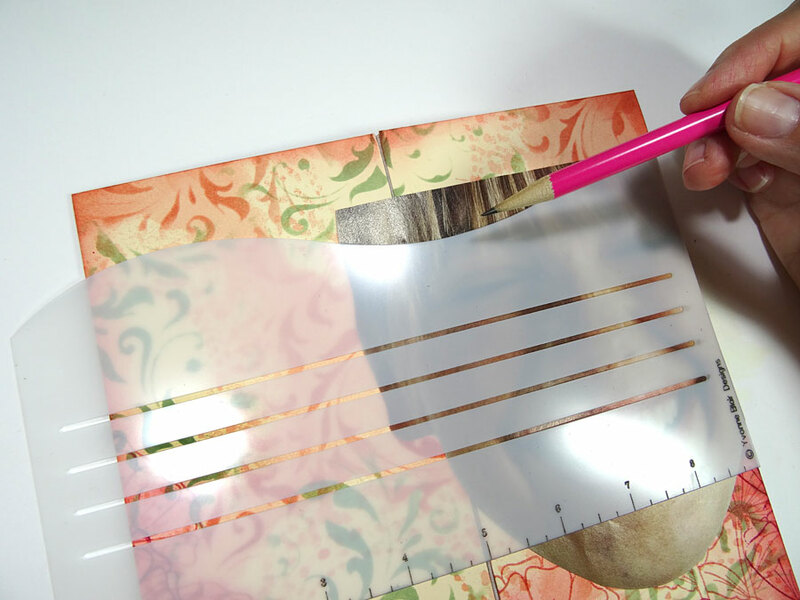 You clamp them, you tape them down, and you just can't stamp well on them because they won't lay flat. WELL, let me tell you: Yvonne's Inky Art Journals lay flat. Every single page! 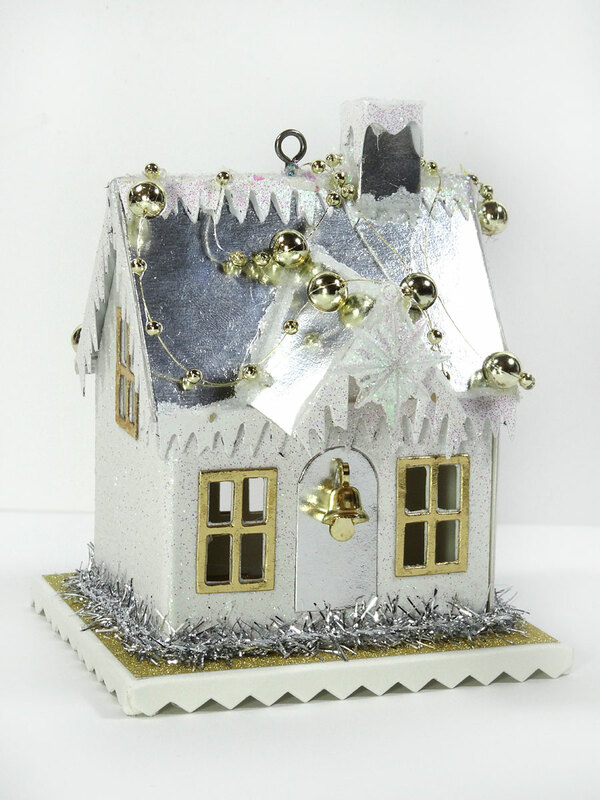 They are specially designed to do so an they are a dream to work with. 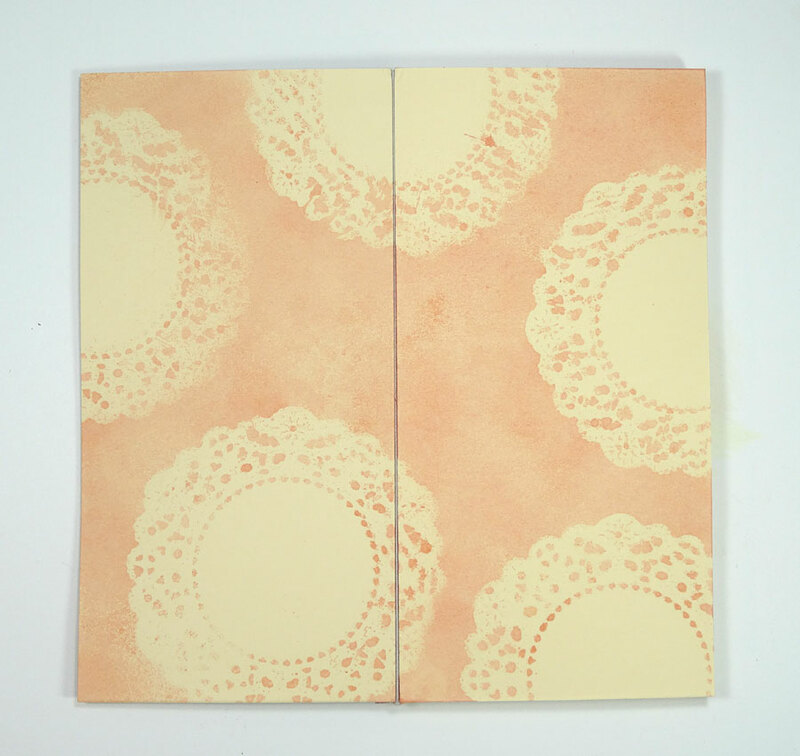 The pages are super thick and nothing seeps through, even without gesso. With that said, let's get the show on the road! 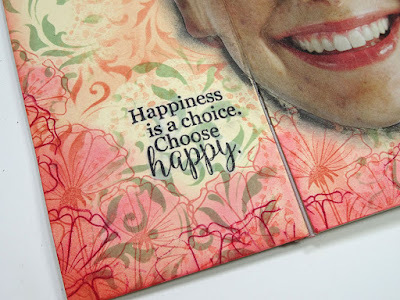 I used the 4" x 8" Inky Art Journal and created this fun spread using Yvonne's Journal Buddy and her wonderful stamps from Impression Obsession. (More details on those in a moment.) I was inspired by artists like Candy Colwell and others I follow who have used magazine people in their art journals. I had never tried it before and started flipping through magazines recently and found this cute girl's freckly face and wrinkled-up nose, and she just made me smile! 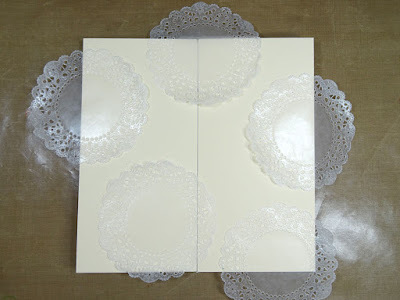 To begin, I laid a few die-cut waxed paper doilies on my pages. 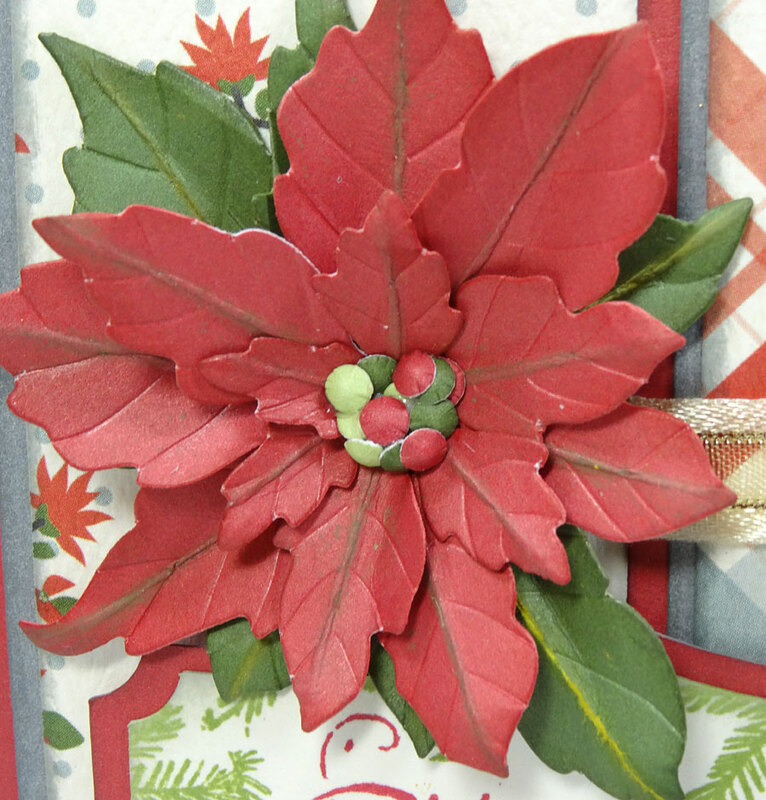 These were leftovers from some cardstock die cuts I made recently. They help the detailed pieces pop right out of the die easily, and they stay intact nicely so I keep a stack of them just in case. I totally forgot to gesso the pages, I was so excited to get started. But it didn't matter one bit and I liked the manila coloring of the doilies. 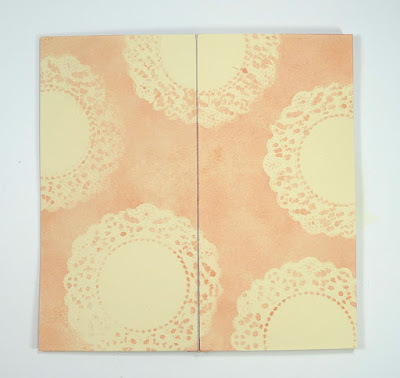 I sprayed my pages with Tattered Rose Distress Stain Spray. 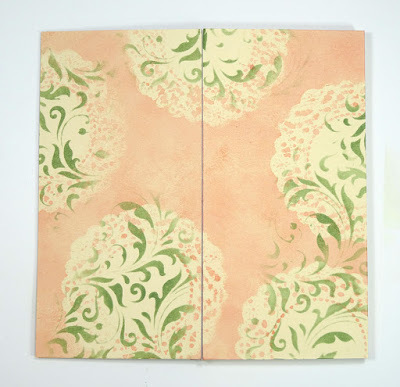 Next, I stenciled the Tim Holtz "Flourish" with Bundled Sage Distress Ink in the doily spaces. 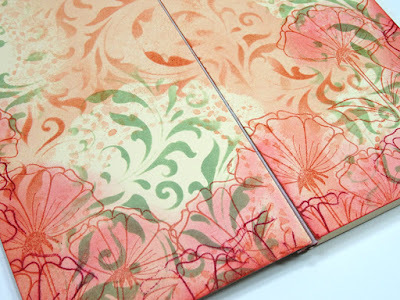 Then I stamped Poppies Alone with two different ink colors across the bottom and up the sides a bit. 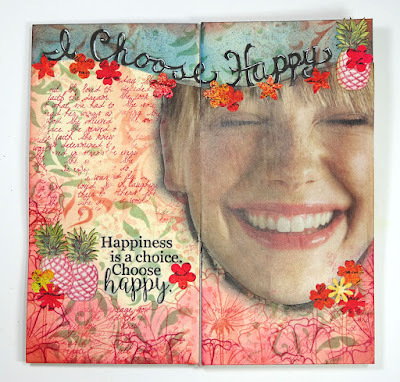 This is one of Yvonne's stamp designs for Impression Obsession. I stenciled more flourishes in the pink areas to fill it out more. Then I swirled inks where the poppies are stamped. I used a fingertip sponge dauber to control where the ink went. I cut my girl out of the magazine and laid her into position without adhering her yet. 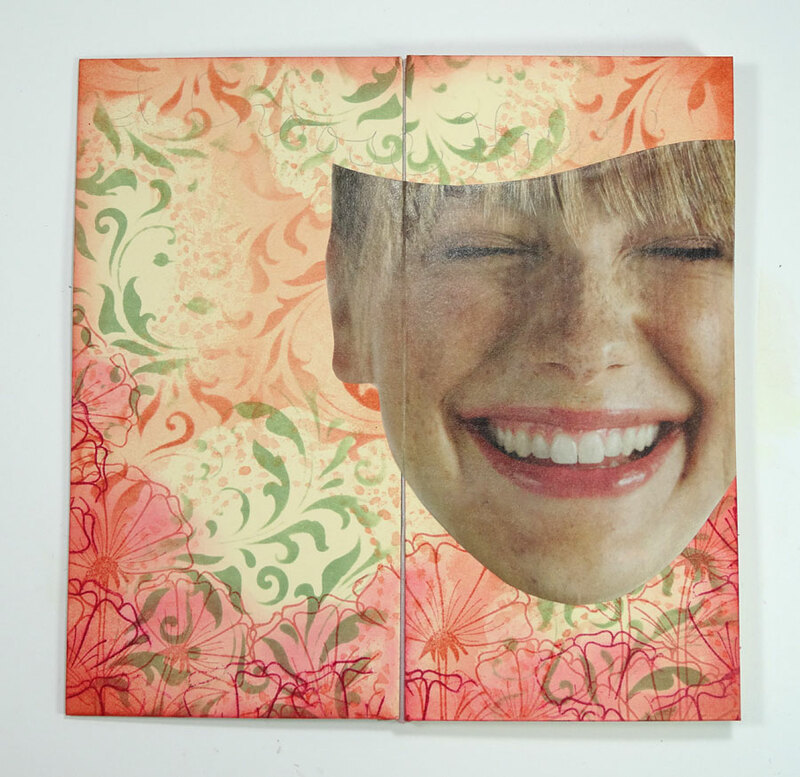 I used the Journal Buddy to make a pencil mark across the page and the girl's forehead. Then I cut along the line and adhered my girl onto the page. 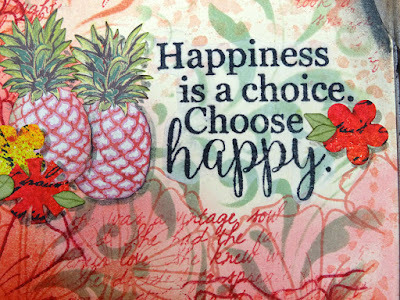 Across the wavy line I hand lettered "I Choose Happy" thickening the letters. I added a soft shadow around my girl's face with a Stabillo art pencil and smudging it with a damp finger. 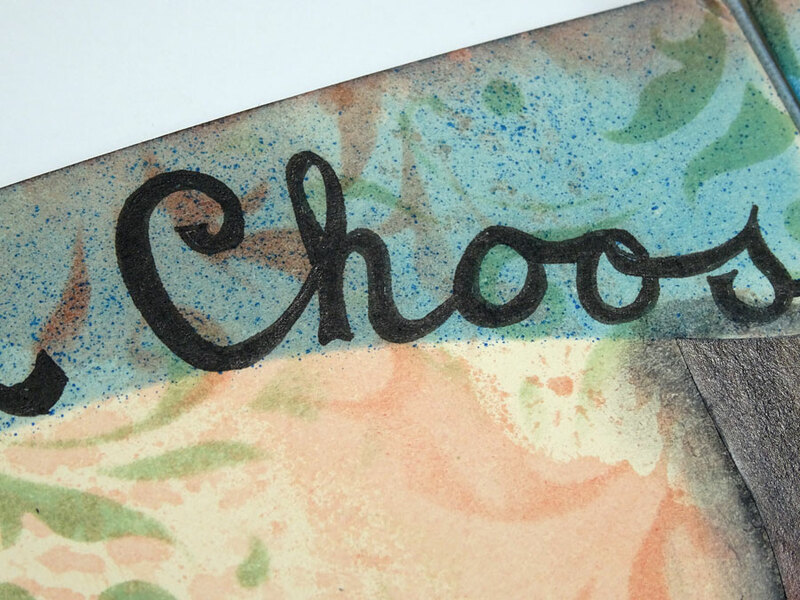 I laid the Journal Buddy back down on my pages and blended some Salty Ocean Distress Ink above, then used a marker spritzer and a Salty Ocean Distress marker to make a splattered texture. Rather than stamp directly onto the journal page (it always scares me that I'm going to mess up) I stamped instead on a piece of tracing paper with black archival ink. I cut closely around the stamped areas and adhered the piece to my page with multi-medium. It's magical how it just disappears! 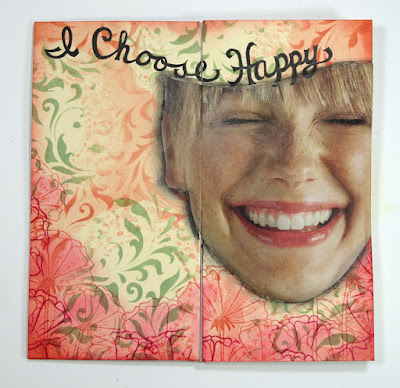 This great stamp is also from Yvonne and is called Choose Happy. Onto a plain piece of white printer paper, I stamped a script background, then spritzed with several colors of Dylusions spray inks. 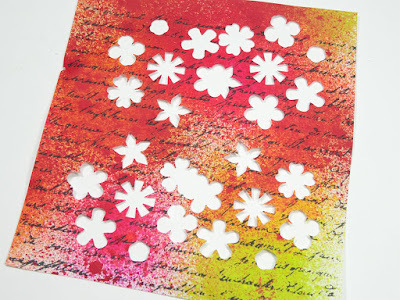 I punched tiny flowers once it was dry. 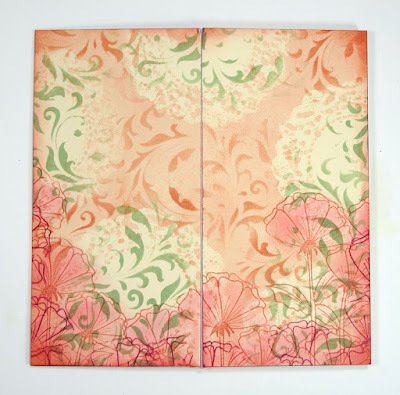 The flowers adorn the wavy edge at the top and are also adhered around the pages. 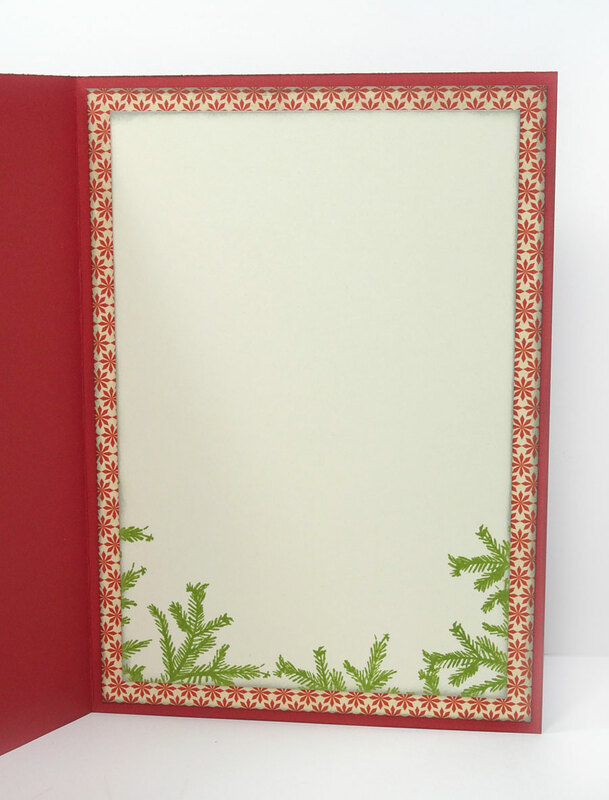 I added some script stamping to fill in some of the open areas of my pages with red ink to tie everything together. I punched a few more flowers from green cardstock, then cut them apart to make tiny leaves and I mixed those in here and there around my pages. To finish off, I used a Pumice Stone Distress marker to make a soft shadow on my adhered pieces. These pineapples were an afterthought. 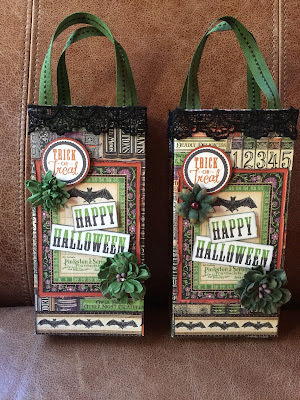 They came from some Basic Grey scrapbook paper in my stash. They were pink, so I thought they'd be fun to add in here. 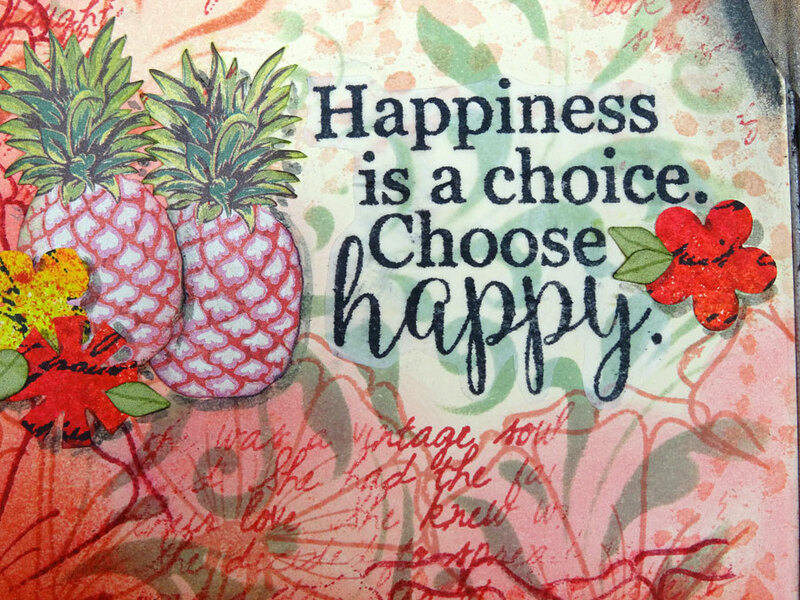 I love this stamped sentiment, don't you? It's so true, and it was the inspiration for my pages today. I hope you enjoyed it, now continue on the blog hop to see what these other creative gals have up their sleeves. Thanks for stopping in! Hello everyone and happy Monday. (Some of you might ask, "Is there such a thing?") It's been a fun-filled and busy weekend here and I thought I'd share some of with you. 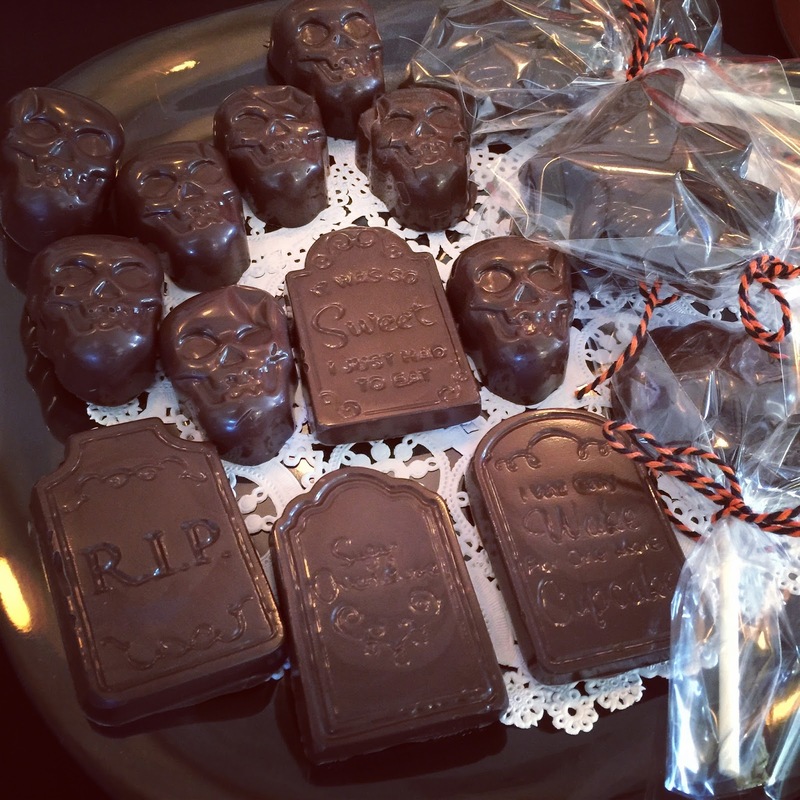 Halloween is always my favorite holiday and the feeling doesn't ever seem to die (uh, sorry) over the years. You'd think I'd outgrow it, but I just don't. I love it too much. 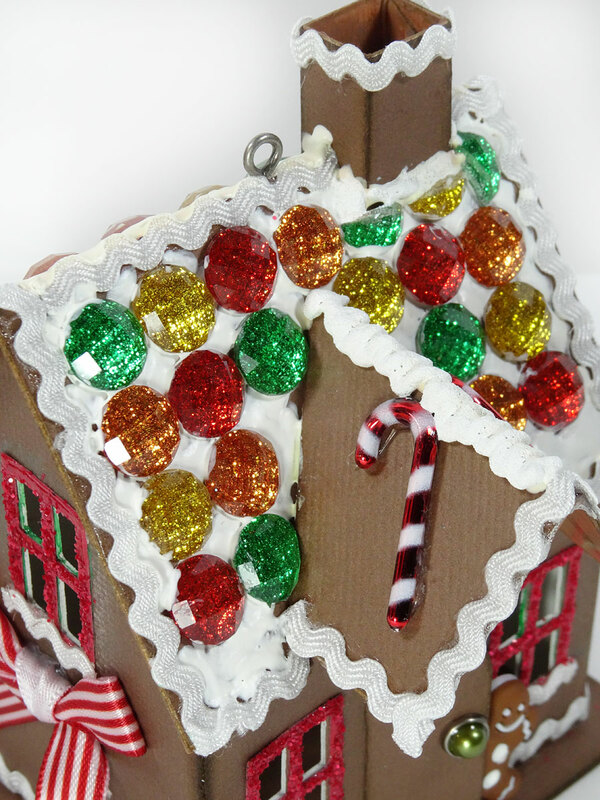 The house gets transformed, we dress up, and we make lots of fun foods. 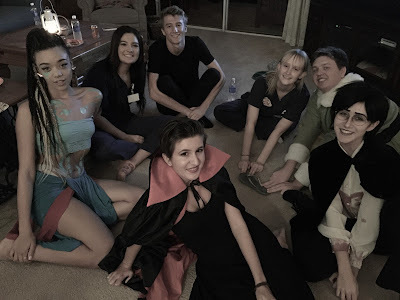 This year, Jamie had a small get-together with her friends for Halloween so we spent a lot of great mother/daughter time making goodies together. 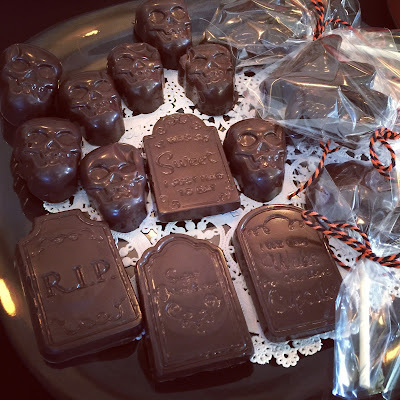 Molded chocolates are easy and fun. 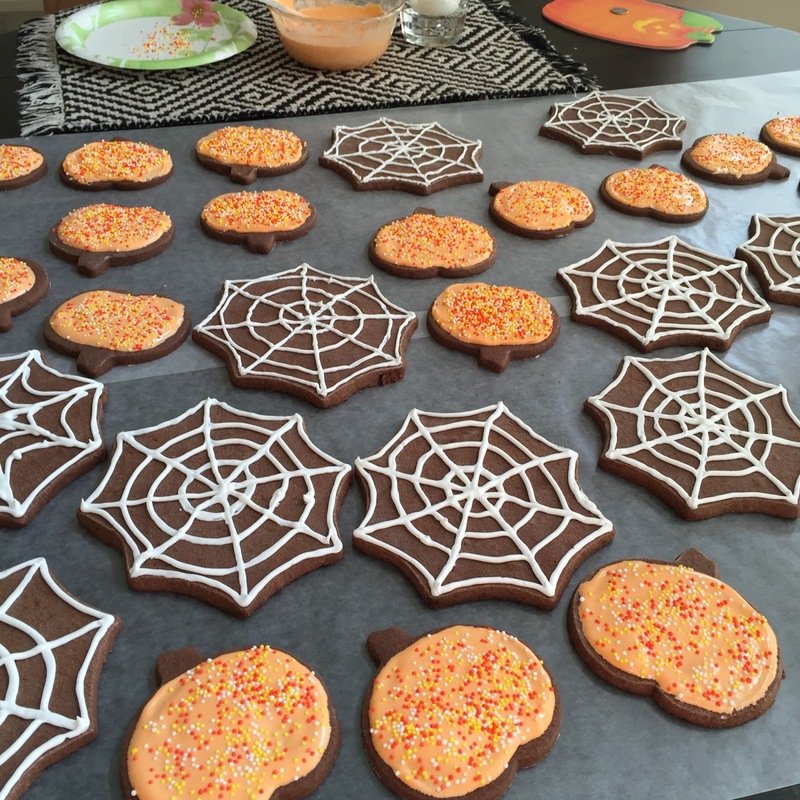 Decorated chocolate sugar cookies. We kept it simple with the designs this year. 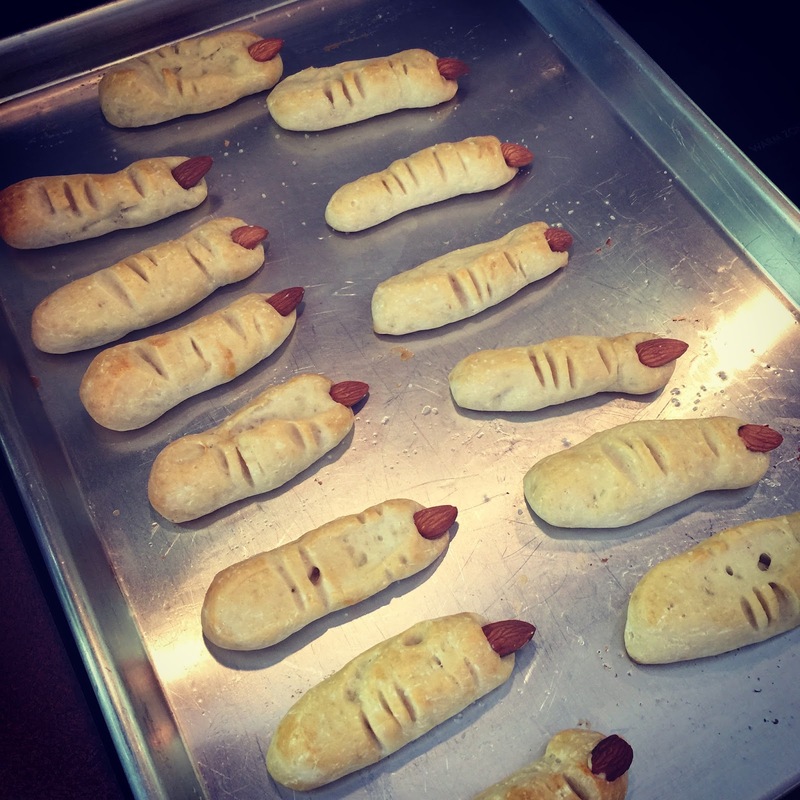 Chubby witch fingers made from Pillsbury bread dough and plan whole almonds for fingernails. We also made mummy dogs (hotdogs wrapped in bread dough), popcorn/candy corn balls, flatbread shapes with pizza dipping sauce, but I failed to get a photo of everything. Jamie and her buds watched scary movies and played games. And ate, of course. Meanwhile, Paul and I went to a Halloween party of our own. 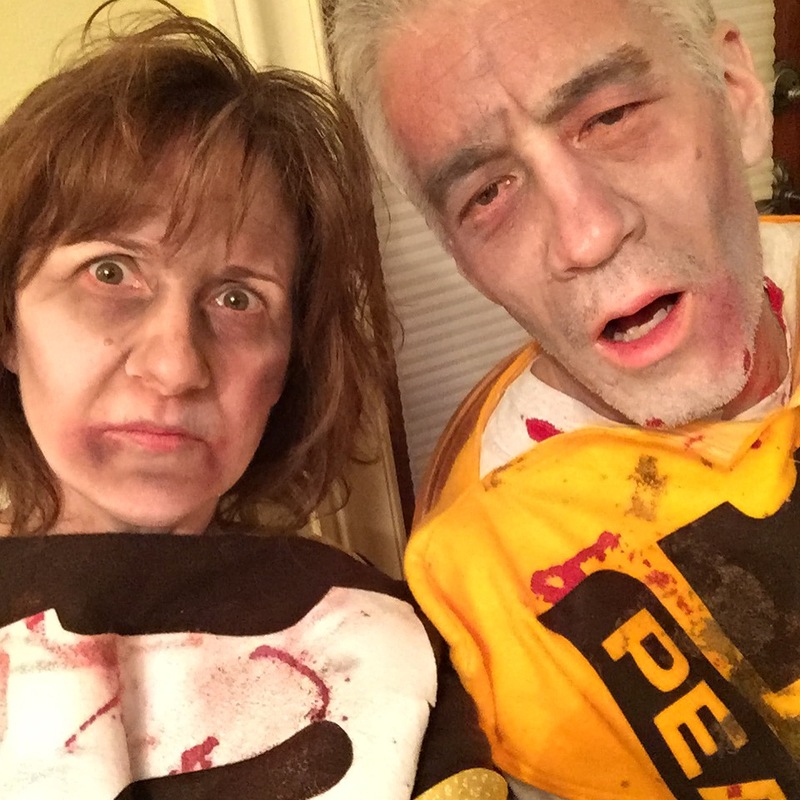 Just a couple of zombies in Halloween costumes. 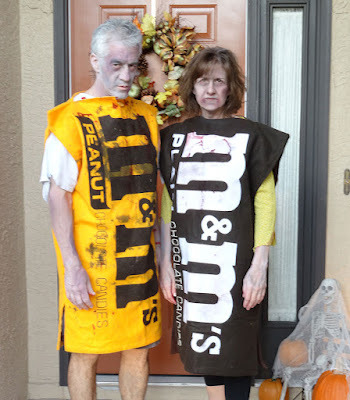 These M&M costumes got resurrected from the attic. We first wore them when Jamie was 3 years old and was a blue M&M, her favorite. And of course, there were many Halloween crafts this year. I've posted most of them already, but these were some quick treat bags I made with the We R Memory Keepers Gift Bag Punch Board and Graphic 45's Rare Oddities papers. Then Sunday came and it's November already. 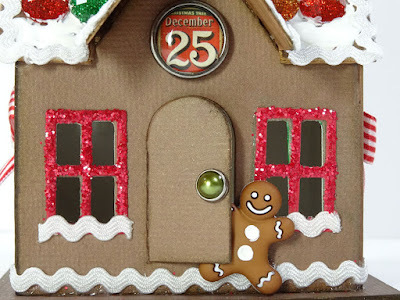 This Florida girl would never believe it if she didn't turn the calendar page. It's so warm here still and muggy! Icky. 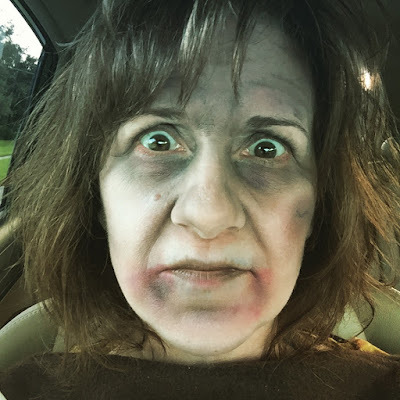 It was a big clean-up job for Jamie from the Halloween party, but she did a fantastic job. Sunday morning was spent setting up for my afternoon Fall card class, which included moving most of the living room furniture out to the back porch. This is one of my most popular classes each Fall. 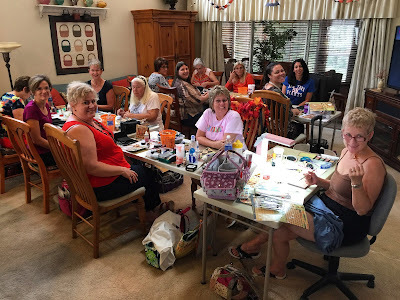 I had a house full of ladies creating together and we had a great time. Several of the cards involved veining and cupping leaves using Susan's Garden Tool Set and her lovely dies from Elizabeth Craft Designs. Here's another look at the cards we made. 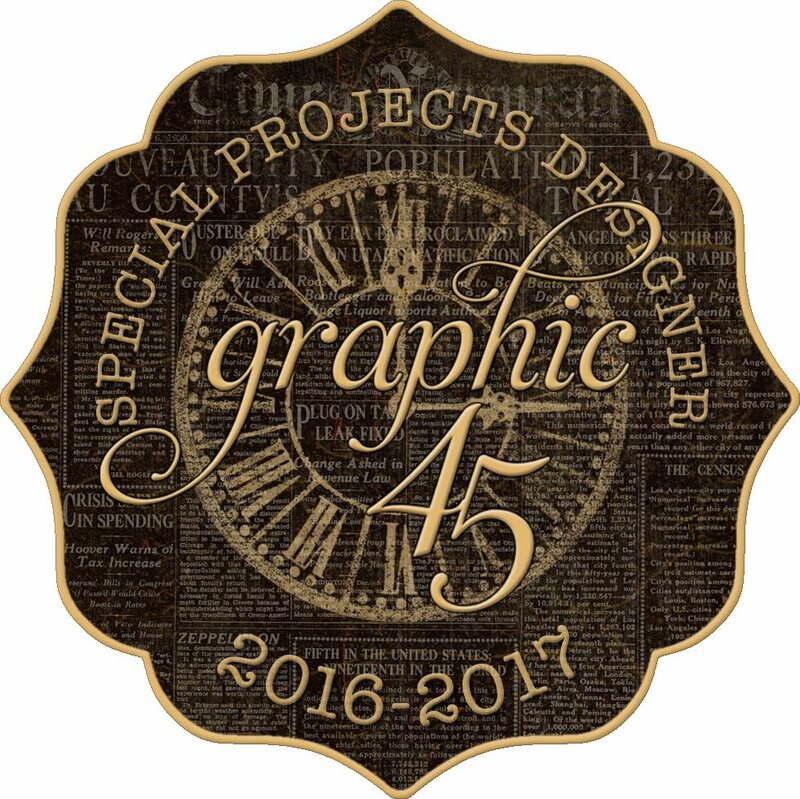 I just love Graphic 45's Botanicabella collection, don't you? Well, today I would've like to rest, but there's so much coming up, there simply is no time for that! I'm working on a fun journal spread that I can't wait to share with you in a very special Blog Hop this Friday, so stay tuned.